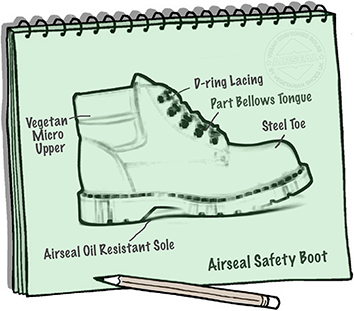 Oil resistant-soles are slip-resistant with a large surface area grip pattern for comfort when standing all day. Stamped on the tongue with EN ISO 20345 2011 so can be used for site work or bought for work use etc. (These boots are certified for the European Community only). This mk2 version also has a special, flexible, puncture resistant mid-sole.